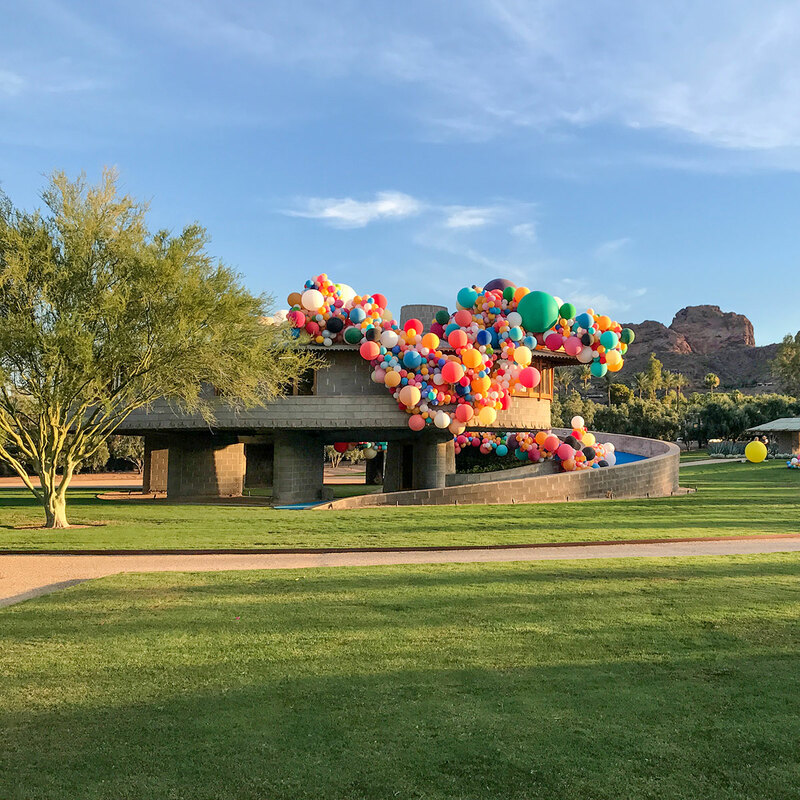 On June 8, 2017, the world celebrated Frank Lloyd Wright's 150th birthday with galas held at Wright Sites nationwide. Phoenix was delighted to participate as a major locus of Wright's body of work. 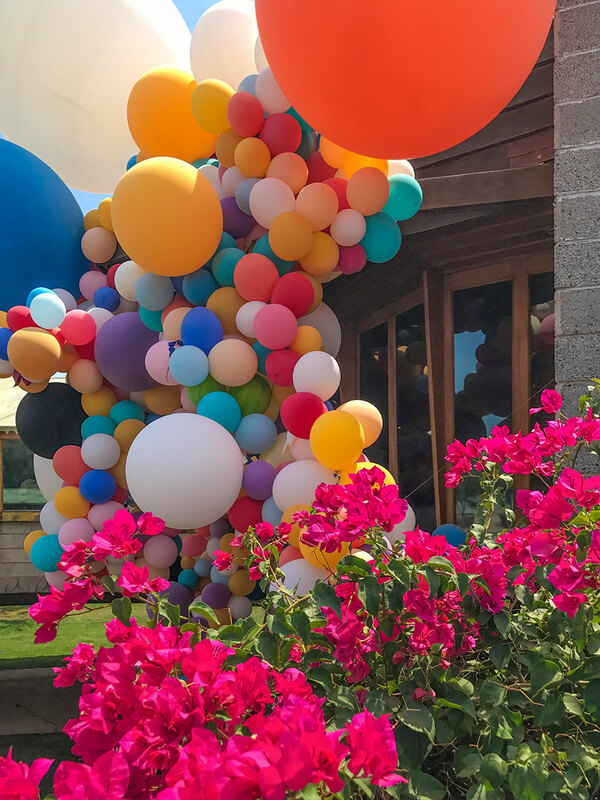 The David and Gladys Wright House in the Arcadia neighborhood of Phoenix celebrated with some especially exciting news, and marked the occasion with an art installation by Jihan Zencerli of Geronimo Balloons. 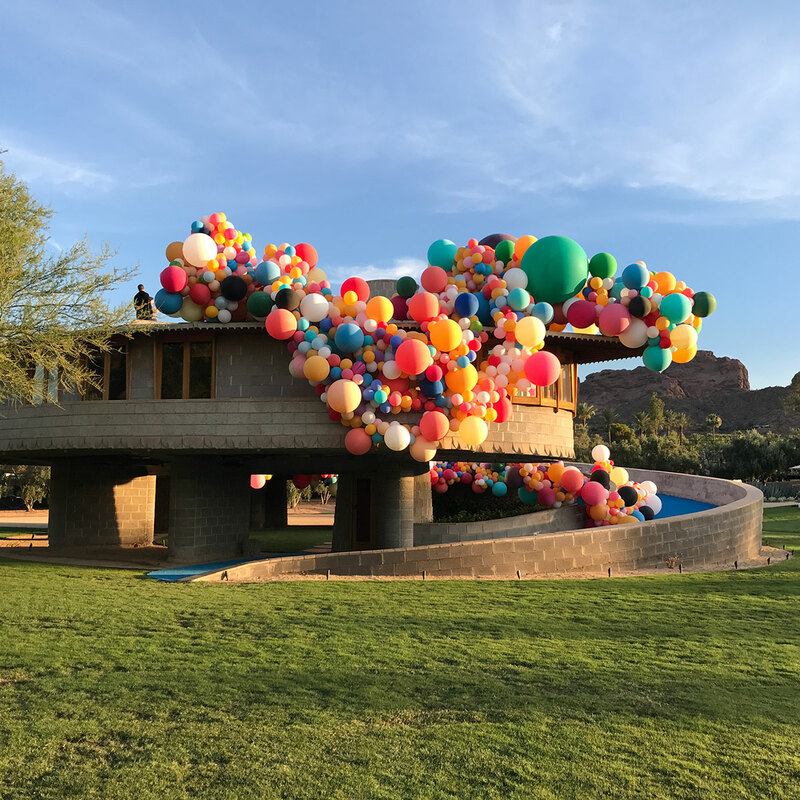 On this day the David and Gladys Wright Foundation announced its pledge of the home to benefit the School of Architecture at Taliesin. Friends and dignitaries were invited to celebrate a new chapter in the home's history with private tours and a VIP reception. 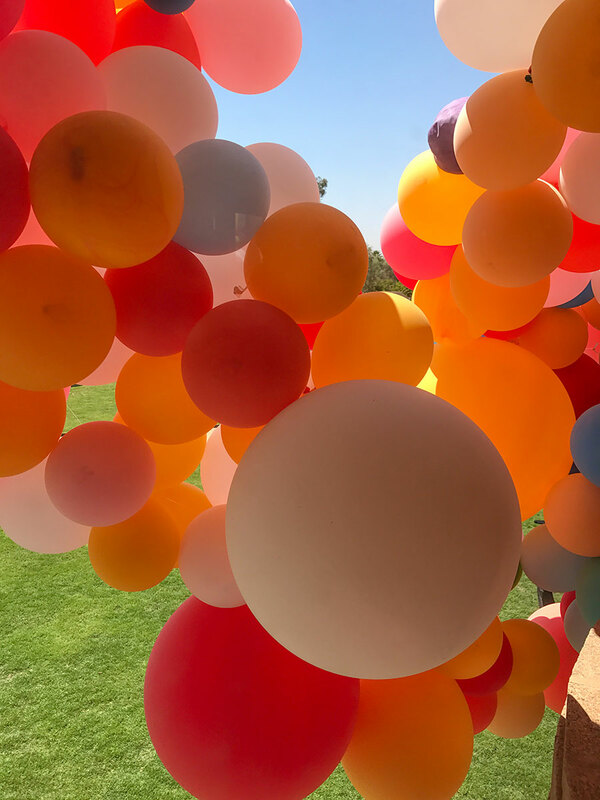 The world got to join in the fun through several Facebook Live feeds throughout the day, and coverage by five fashionable social media influencers for the #howtoliveinthesouthwest campaign. 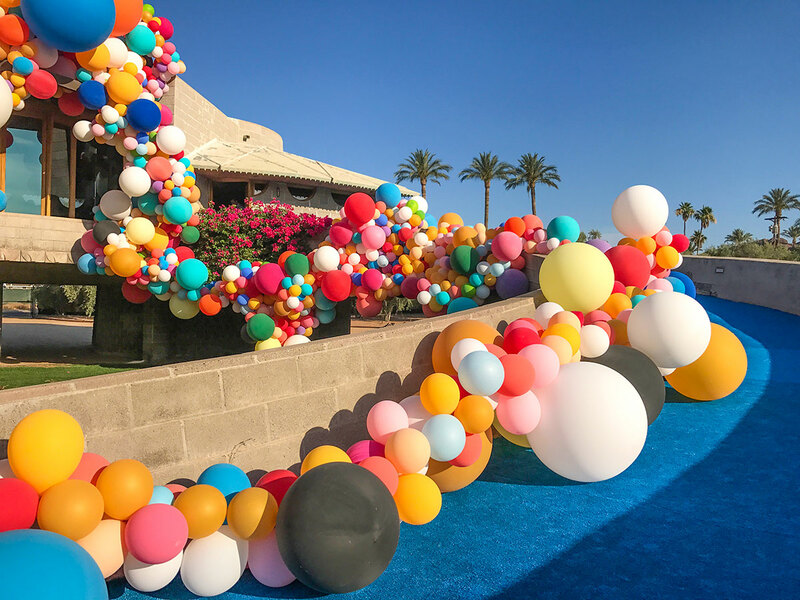 The theme of the art installation was inspired by the Wright family's love of balloons, and the home's custom rug design entitled March Balloons. Installation began the day before and ran far into the night for the early morning reveal. 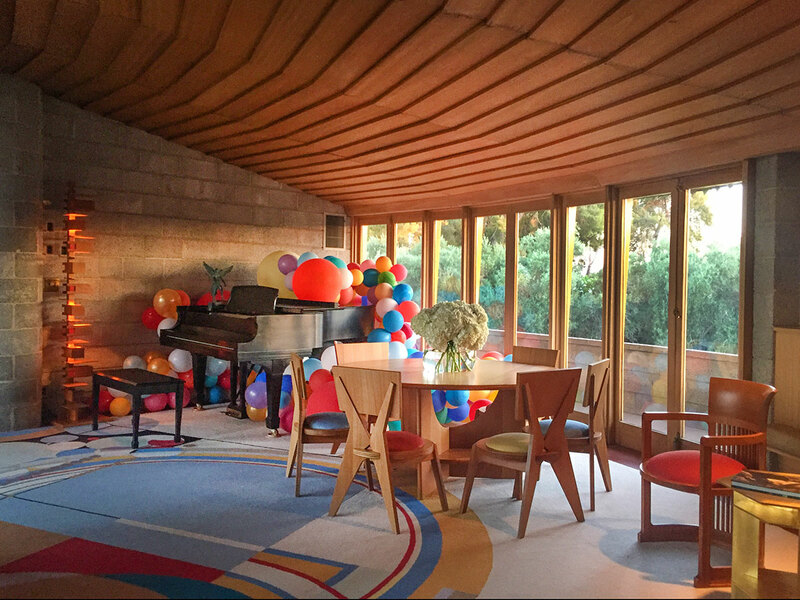 The piano was the souce of vibrant colors bubbling out of the instrument, across the floor of the living room, out the window and down the home's spiral ramp. 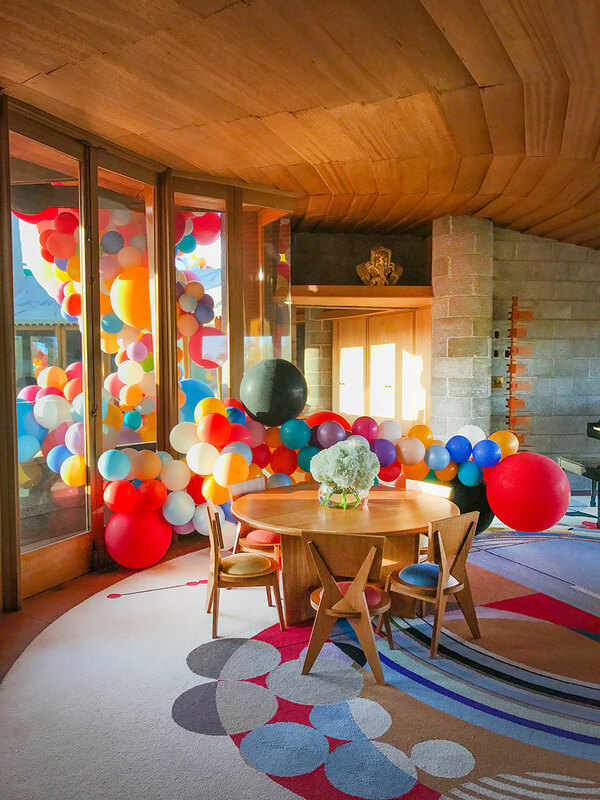 Wright's custom designed plywood chairs echo the balloon motif. 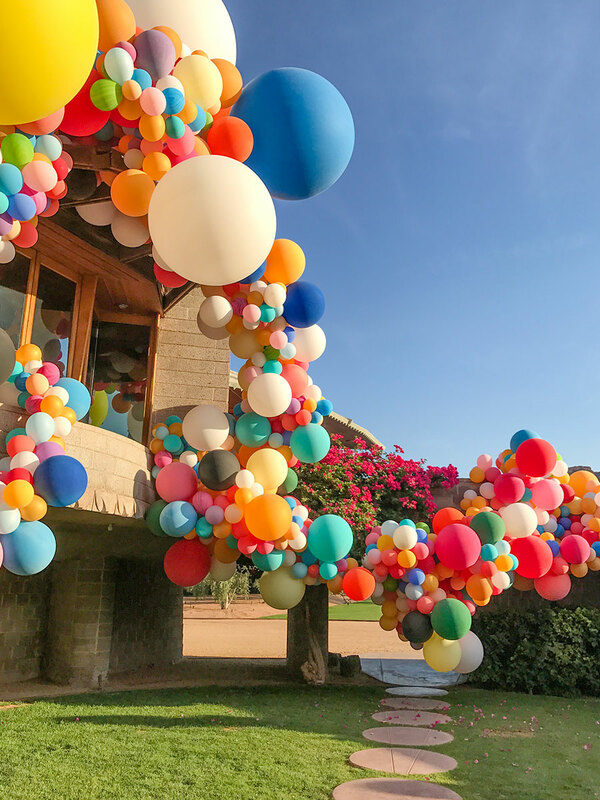 Once inside the home, guests could experience the installation from inside-out, and the sensation of being enveloped by the joyous display, like an octopus hug. 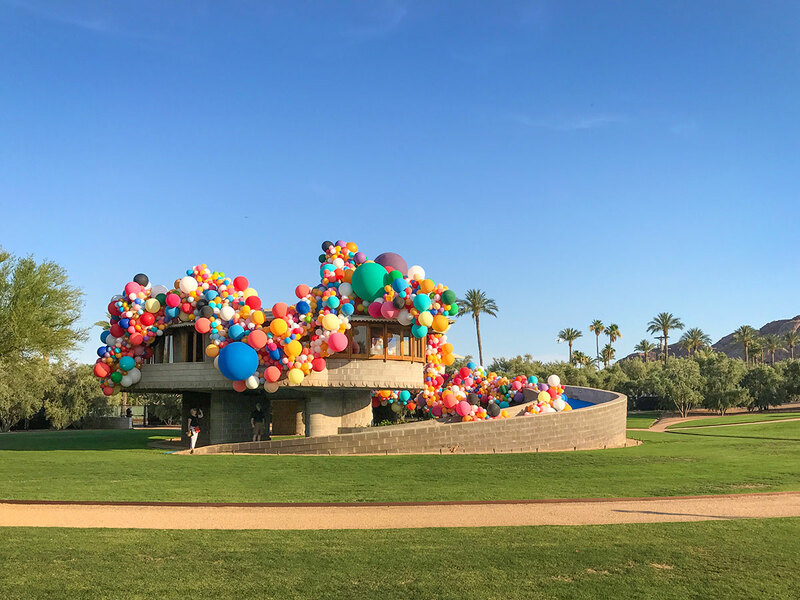 Photo: Wendell Burnette Alison King of Modern Phoenix was among the tour guides helping first time visitors navigate the grounds and learn the home's history. 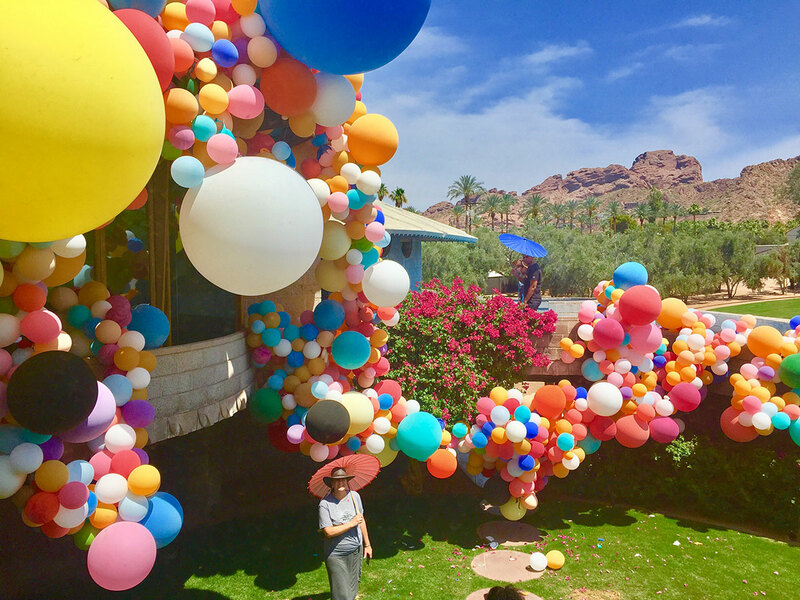 Colorful parasols strewn across the grounds invited guests to become part of the art on the hot and sunny day. 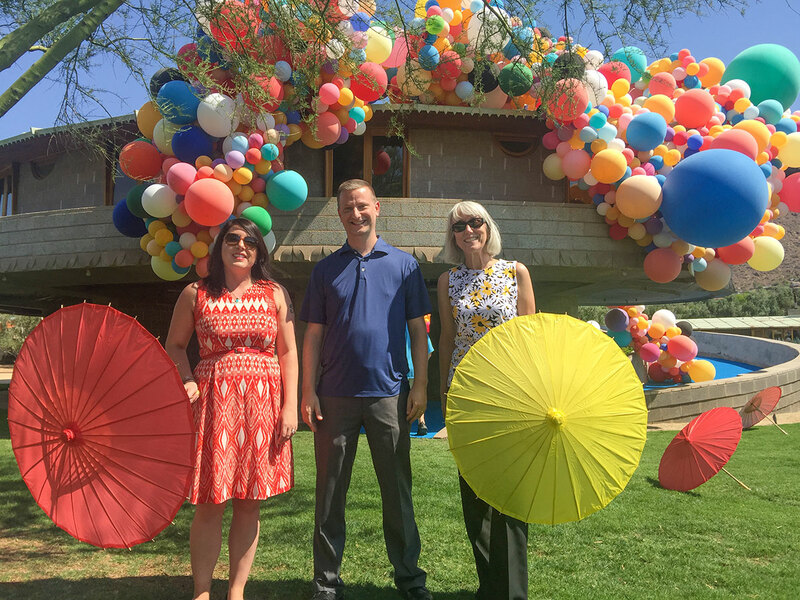 Members of the historic preservation community and City of Phoenix HP office were present to hear the news of the dedication, which the Foundation and School had kept under wraps for the occasion! 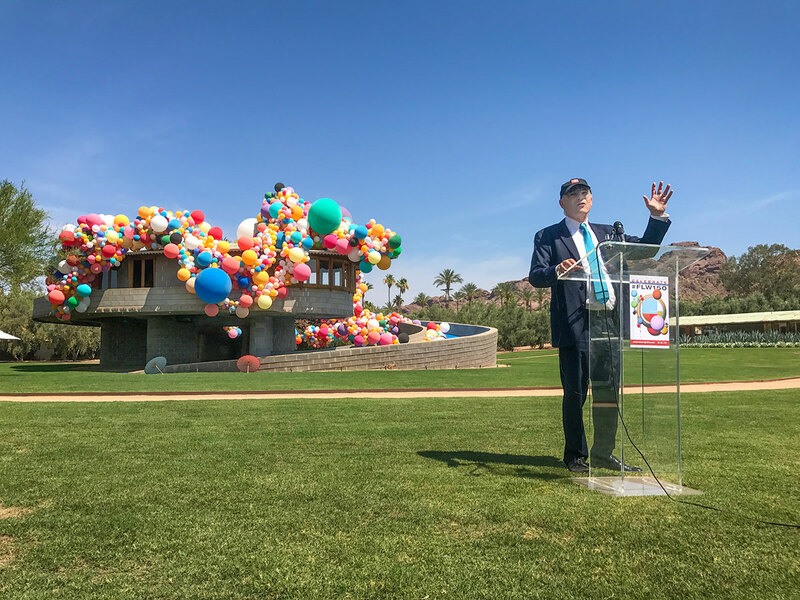 Aaron Betsky, Dean of the School of Architecture at Taliesin, was among many of the speakers to commemorate Wright's birthday. 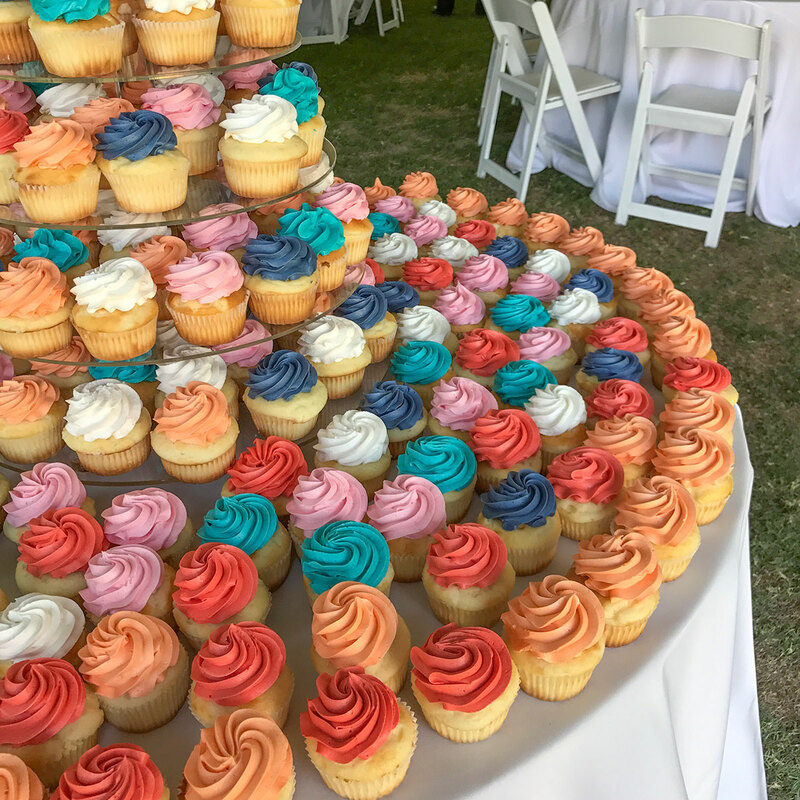 The VIP tent hosted refreshments and colorful cupcakes that echoed Geronimo's installation. 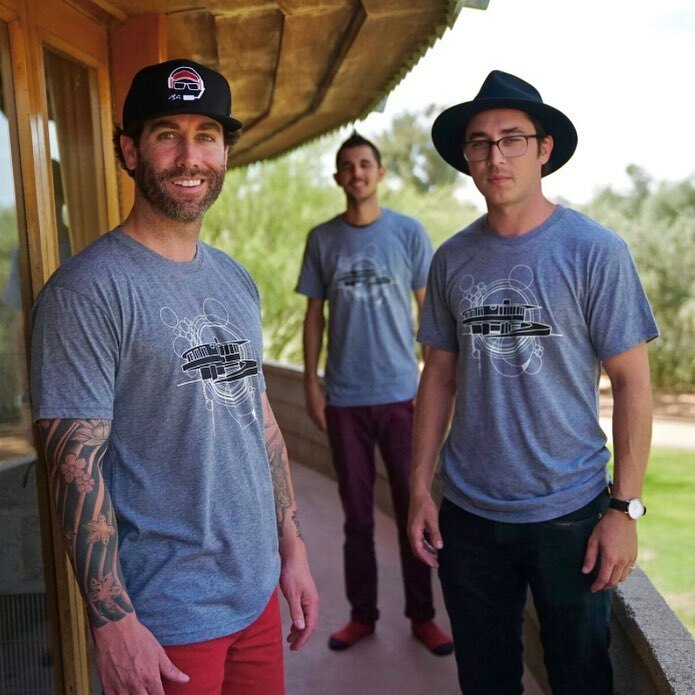 Photo: Digital PreserveState Forty Eight created commemorative t-shirts for all who attended. Order your Men's crew or Women's muscle tank here! 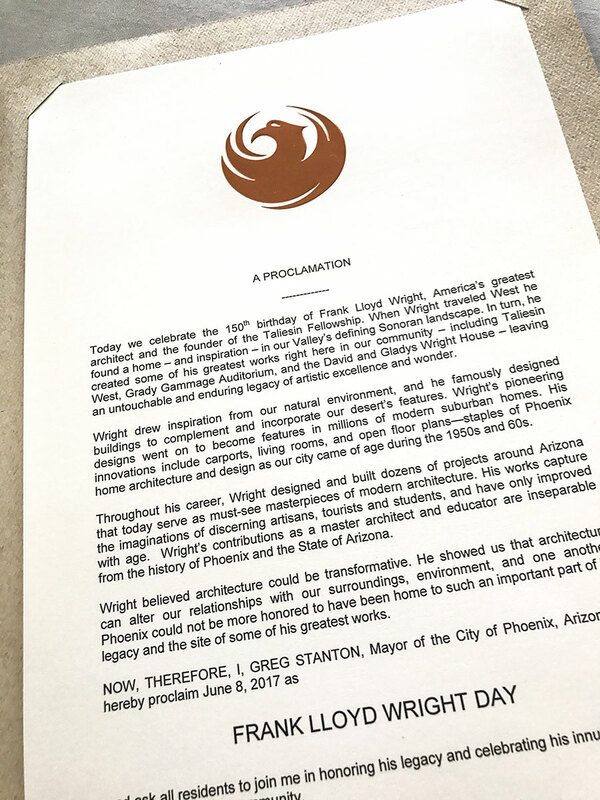 The icing on the cake was that Phoenix Mayor Greg Stanton had June 8, 2017 proclaimed as Frank Lloyd Wright Day. All good things must come to an end! 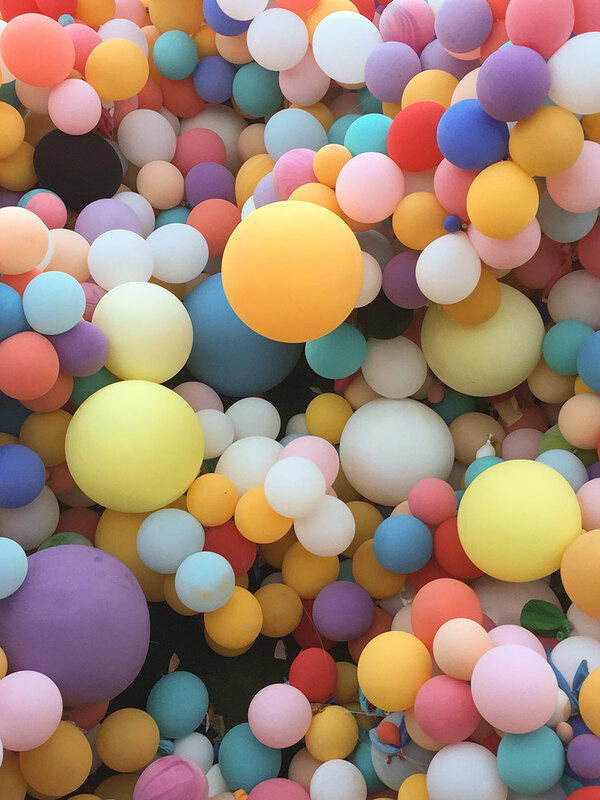 Though the latex material is biodegradable, and none of the balloons were filled with helium and released to the sky, it is best for the environment if they are cleaned up before they become a hazard. 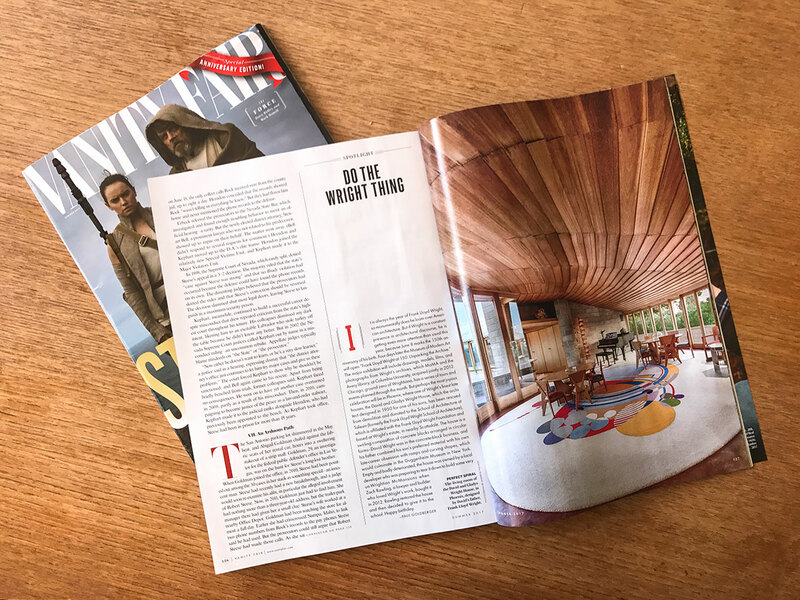 The event was made even sweeter with a tribute by architecture critic Paul Goldberger in Vanity Fair magazine, which scooped the news just in time to make the summer Star Wars issue the week before the Foundation announced its pledge to the School. 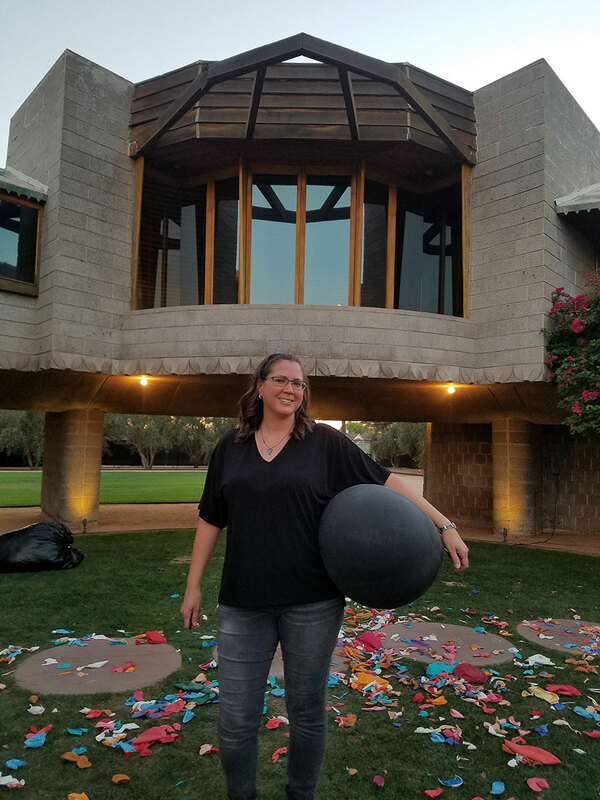 Please join us in supporting the David and Gladys Wright House Collaborative Fund, which helps advance academic use of the property as a center of learning, art, preservation and environmental responsibility. Your gift helps make cultural programming like this accessible to the public.